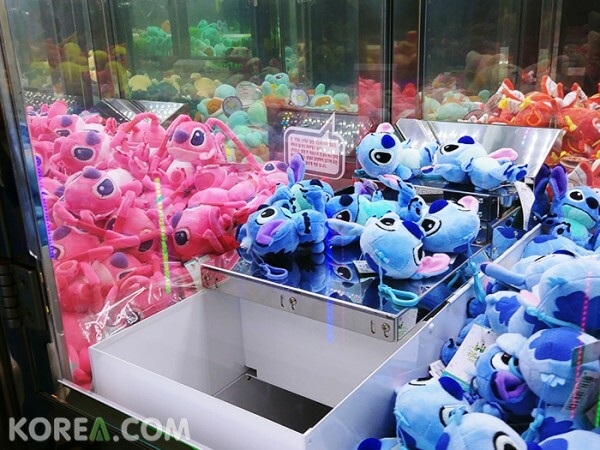 ​Did you enjoy watching the LIVE video of claw machine game on Facebook? 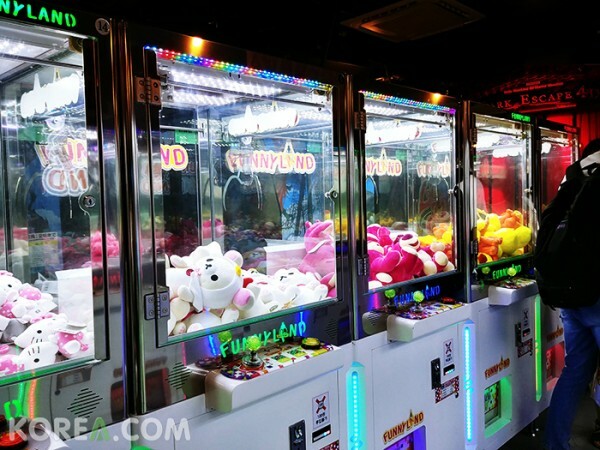 We heard that there isn't any machine like this in other countries (according to fans from Korea.com) . 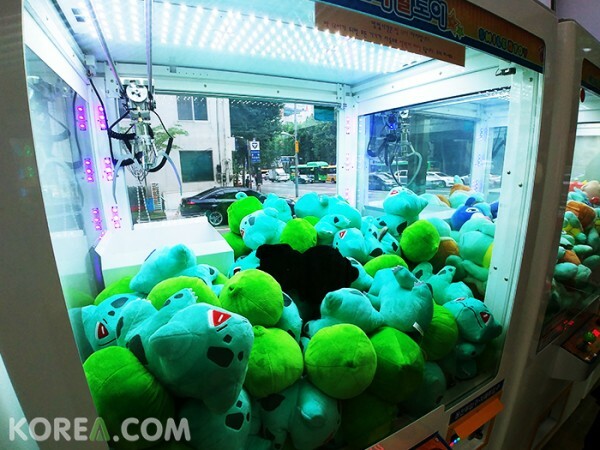 ​We tried this claw machine game during the LIVE video. 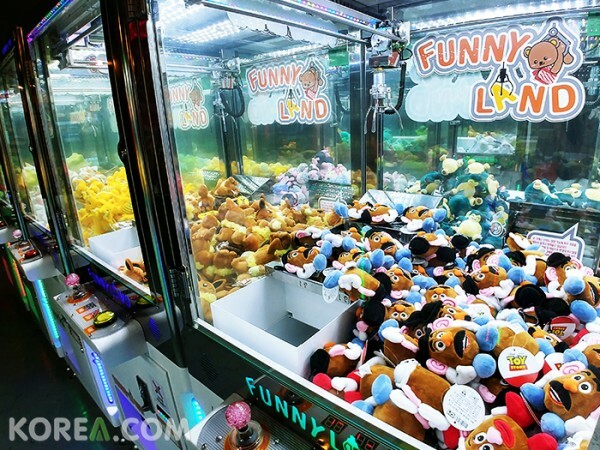 For this game your able to earn numerous of dolls playing this game. 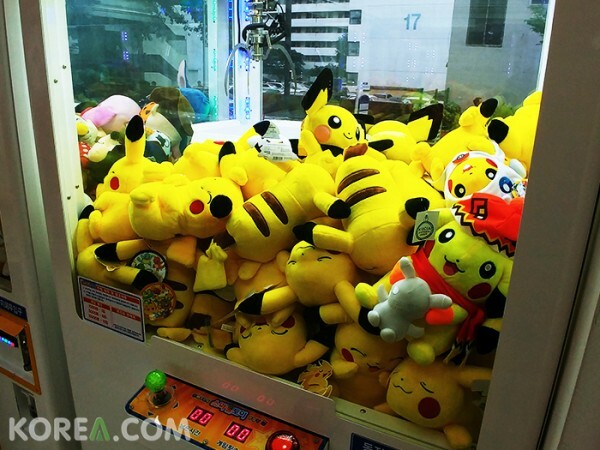 One important tip to play this game is to play the one that has many dolls on top. As you get more dolls on top the you're able to get more dolls! 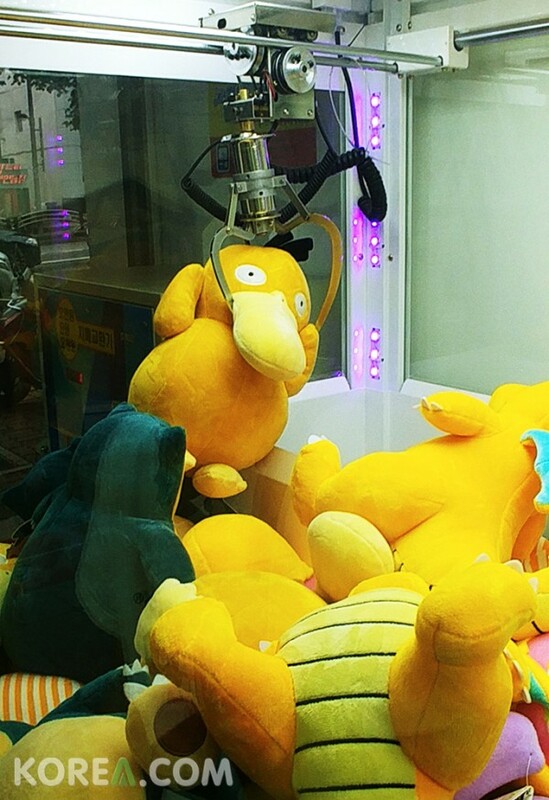 This is also a game which your able to win a doll. There are two stages for this game 'Minor' and 'Major'. For Minor it's easier than Major. 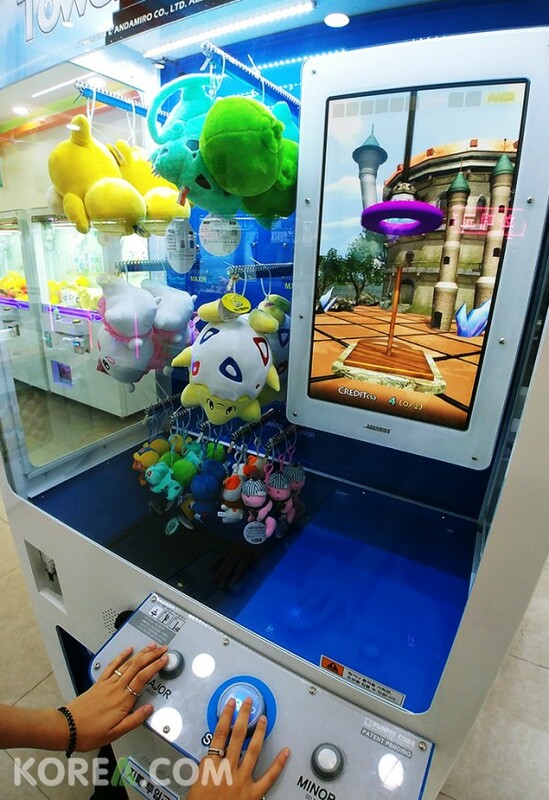 If you put seven hoops in the pole your able to get one of the small dolls on the very bottom. 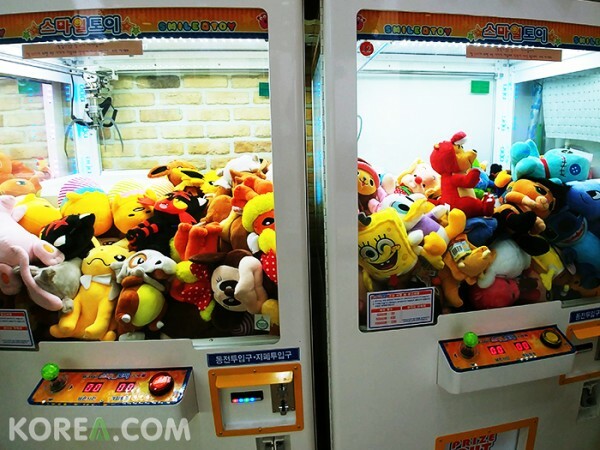 In order to get the big doll (major) you have to get smaller and faster hoops inside the pole which is very difficult sine the speed is too fast. 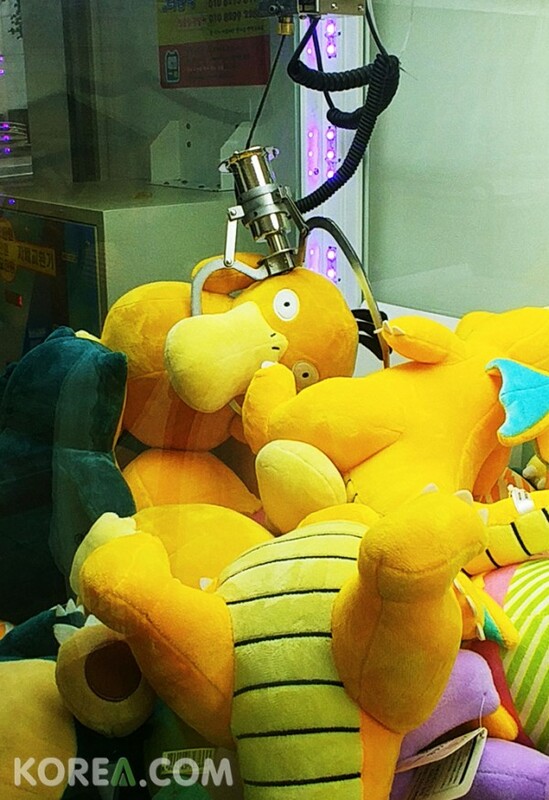 ​This is a different place playing claw machine game. 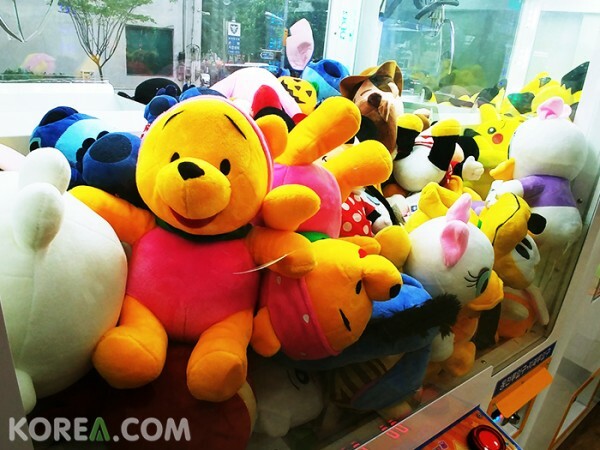 At this place there are only big dolls that you can get. There is a machine to change your money so if you don't have change you don't have to worry! 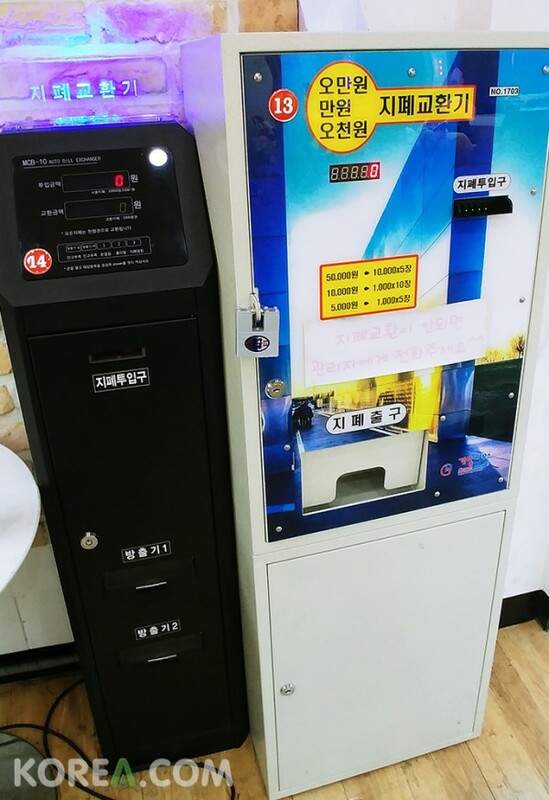 You can change your money from this machine! We were able to get Psyducl! We uploaded the video on Korea.com facebook so you can check it out if you haven't watched it yet!